Robert Pattinson has revealed that he is "sworn to secrecy" regarding Christopher Nolan's upcoming new action film and was "locked in a room" to read the script which he then had to hand back. Rami Malek was stunned to beat Christian Bale, Bradley Cooper, Viggo Mortensen and John David Washington to the SAG Award for Outstanding Performance by a Male Actor in a Leading Role in a Motion Picture. Spike Lee is one of the most celebrated award winning directors in Hollywood, famous for his race related and political issue movie’s his latest will not disappoint. 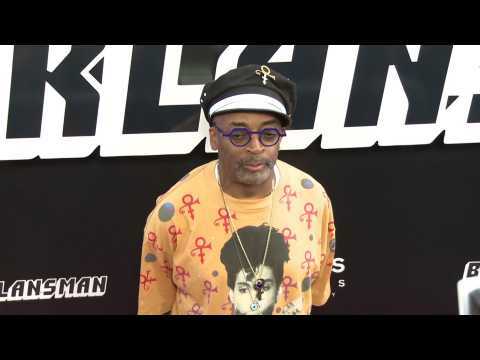 BlackkKlansman is the 2018 American biographical drama film, directed by Spike Lee, that is sure to be hard hitting stuff when it hits the big screen. 'Blackkklansman' star JOHN DAVID WASHINGTON was embarrassed by the footage of the fatal Charlottesville, Virginia riots which features at the end of his new movie.